Do you want to spend more time outside this summer hanging out with your friends and family? You can do it when you make the decision to add a deck to your home. 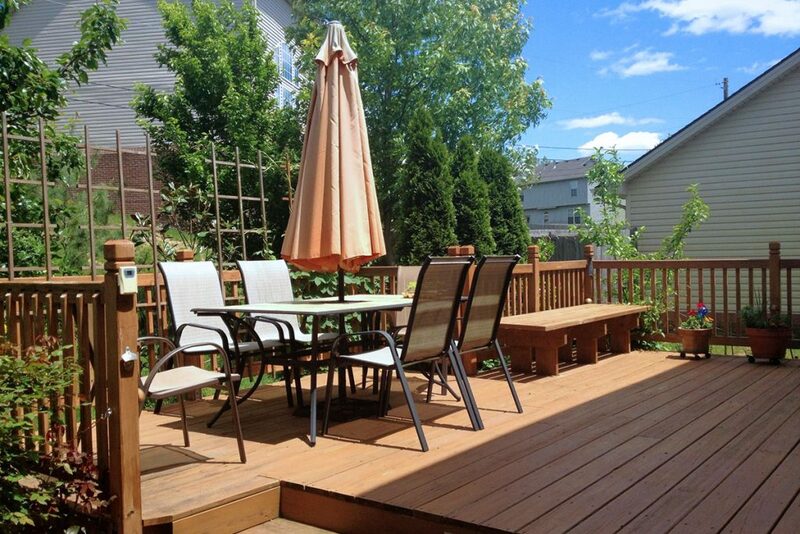 A deck can provide you and your loved ones with all the livable space you’ll need to make the most of the summertime. But before you add a deck to the outside of your home, there are a few things that you will need to know. Make sure you ask yourself these questions before you bring a deck contractor on board and start building the deck of your dreams. Is Your Home Designed for a Deck? Not all homes are ideal for decks. If you’re going to add a deck to yours, you want your home to sit about 14 inches off the ground. This will give you the clearance that you’ll need in order to build the deck. You’re also going to want one of the exits from your home to come straight out onto the area where you want to place your deck. Otherwise, you will likely need to build a new door so that you can access your deck from your home. 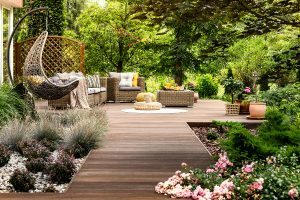 A good deck contractor can come in and recommend how to go about building your deck off your home so that it’s safe and adds to the aesthetic appeal of your property. What Do You Plan to Put on Your Deck? It’s a good idea to try and come up with a list of the things that might want to put on your deck once you add a deck to your home. This will help you to figure out how large your deck will need to be and, more importantly, how much weight it will need to be able to support. You might also want to consider how many people you will plan to have over your home at once to use the deck. This will come in handy when trying to design the right deck for your home. What Do You Want Your Deck to Be Made Out Of? Historically, most decks have been made out of wood. And you can still add a deck made out of wood to your home if you want. But these days, there are also a lot of people opting to use composite materials to create decks. They don’t require quite as much maintenance as wood, and they eliminate the splinter factor that you’ll encounter with wooden decks. You will be able to pick out the materials you want to use to add a deck. You will also be able to choose from a wide range of colors when you install a deck. Your deck should complement the rest of your home and should add to the overall design of it. How Much Can You Afford to Spend on Your Deck? You might want to consider asking yourself this question right from the very start. But at some point, you’re going to have to come up with a budget for your deck. There are some decks that will only cost $1,000. There are others that will cost tens of thousands of dollars. You can spend as much or as little as you want. Just make sure that your deck fits within your budget. Who Is Going to Build Your Deck? Hiring the right deck contractor to add a deck to your home is of the utmost importance. You can find deck contractors by looking through online reviews or asking friends and family members for recommendations. At the end of the day, you need someone who is right for the job. They should be able to build you a safe deck at an affordable rate in an agreed-upon amount of time. Do You Need to Pull Permits for Your Deck? Many towns require homeowners to pull permits whenever they do any major home improvements. Your deck contractor should be able to let you know if you’ll need a permit to add a deck to your home. If you do, make sure that you obtain one and that you display it prominently. There have been horror stories about homeowners installing decks without permits and being forced to take them down later. What Will You Need to Do to Maintain Your Deck? Once your deck is up and you’re using it on a regular basis, you will wonder how you ever lived without it. When you put a deck on your home, it will give you so much room to stretch out and enjoy the company of others. It will also make the rest of your home look and feel so much bigger than it actually is. But there are some steps you will have to take to maintain your deck and keep it looking its best. You will have to sweep dirt, leaves, and other debris off your deck. You will also have to power wash it from time to time to keep it sparkling. If you have a wooden deck, you might even have to paint or stain it over time since it could fade in the sun. Decks are built to last a long time. But you will have to do your part and take care of your deck to get the most out of it. Would you like to add a deck to your home this year and see how much fun it can be to have one? You can do it and then use some of these inexpensive backyard ideas to bring the outside of your home to life. It’ll help you have the best summer ever. Read our blog for more tips on transforming the inside and outside of your home.